Summary: Banks are paying attention to behavioral economic studies as they seek to understand how people make purchases in order to inspire desired actions among their customers. We have some highlights to help. 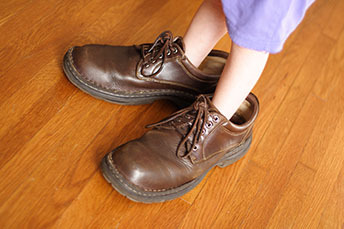 Everyone knows the old saying of putting yourself in someone else's shoes to better understand their perspective. We were interested to find out though that a study surfaced last year that covered 25 experiments to see if you could do that. It found that there was no consistent evidence that trying to take someone else's perspective increased accuracy. It appears stepping into someone else's shoes is more difficult than previously thought. Over time, behavioral economists have long puzzled on the issues of how people react to money and payment. Increasingly, banks are paying attention to these findings too, as they seek to know more about how people make purchases in order to inspire desired actions among their customers. This makes sense when you consider the core way people shop and spend has changed radically in the past decade or so. People now browse and buy on computers, mobile devices, and soon perhaps by just speaking into a gadget like Google Home. Where and how customers initiate digital payments. The biggest bonus for online shoppers is convenience. Favored eCommerce sites not only present people with a ready selection of available options, but an easy process (often via one-click purchasing due to stored payment vehicles). As digital spending increasingly moves to other smart devices (like refrigerators), consumers will expect more visual or auditory cues for quick and easy checkouts, from various locations and connected devices. Following the development of this progress is important, even if you aren't matching this level of innovation, so that you know the potential customer expectations. How long it takes to ingrain new behaviors. If a person can embrace a new habit for roughly two months, they can change for good, according to University College of London research. It's not easy to get cardholders who have been "swiping" all their lives to "dip their chip", never mind to use new payment platforms. This is good to know, as you think about your customer base and keep tabs on where they are with new payment options while you plan ahead. How to sway customers' views on payment. Payment modes are definitely changing, but banks will never be as successful at changing consumer habits as they will be at forming payment options to fit the way consumers already behave. In a blog post, behavioral scientist Jeff Kreisler discussed how, when creating or marketing new payments options, banks should consider basic behavioral economics principles. These include: emotional accounting, where consumers 'categorize' their money into different accounts mentally, based on how they get it and spend it; payment 'pain', where buying certain items can create mental or even physical discomfort for shoppers; and anchoring, where a seemingly irrelevant piece of information can influence a buying decision. While these are pretty high-level ways to tackle payment options, they could provide you with some further insight as you continue down the payments path. 75% of millennials believe that their generation spends too much on extravagances and 64% believe their generation is deficient at handling money. JPMorgan research based on surveys of businesses around the world showed activity fell to its lowest level in 27 months during December, with exports showing particular weakness. Fed Vice Chair Clarida said the Fed may increase rates less than the dot projections suggest given that some of the global growth data have been softening.